At Gracie Raleigh, our gym is dedicated to your health and wellbeing. Not only do we help you increase your levels and knowledge about self-defense, but we also strive to teach you lifelong lessons that will help you navigate life's tough roads. Whether you're an adult beginner, a child, or have earned a black belt in another martial art and are looking for a new challenge, give us a call today. We offer free classes, so you can try before you buy. There are no contracts for kids, so parents do not have to worry about their child changing their mind. Our juniors programs can really benefit their lives, and yours. 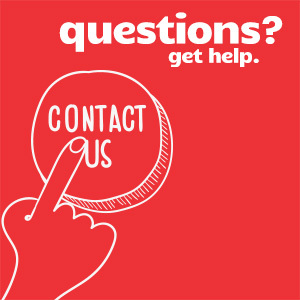 Keep reading below to learn why you should be giving us a call today. 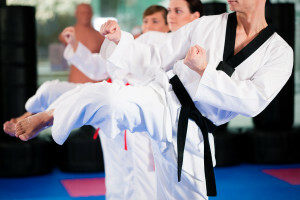 Martial Arts Classes in Raleigh Can Benefit Your Life! If you are willing to give martial arts a chance, it can change your life for the better - forever. At Gracie, we do not teach kids traditional karate classes in Raleigh. We specialize in jiu jitsu, muay thai, kickboxing, and other forms of martial arts that will greatly improve your overall health, physical fitness, mental toughness, and even self-esteem. Gracie jiu jitsu is great for adult beginners, seasoned veterans, and kids. If you want to get in shape, then call us today to set up a free class with no commitment. We all know that karate is great for self-defense, but so is jiu jitsu and muay thai. Here are few of the other ways that our gym can benefit you, or your child's life. Making Exercise Fun and Exciting – It can be hard to get up and go to the gym to run on the treadmill, and lift weights, but with Gracie, exercising is really fun and exciting. You'll get in great physical condition, have a lot of stamina, and get stronger both mentally and physically. Making New Friends – Some people, and kids, have a hard time making new friends. Whether it be due to lacking the social skills or confidence, this can be a lonely world. Introverts find our martial arts classes in Raleigh are great for making new friends. You'll find comfort knowing that you are in a room with other people that share the same martial arts interests as you. If you're shy, or just want to make a lot of new friends, then sign up for a free class today. Self-Esteem Boost – Martial arts does wonders for a person's self-esteem and self-worth. Once you enroll into one of our programs, you'll be on your journey to earning a new belt and new rank. With these achievements, you'll gain a lot of confidence in yourself. Your self-esteem will get a giant boost after each belt you earn. This confidence, and sense of achievement will carryover to your everyday life allowing your to face your daily struggles with a newfound confidence. Respect Others and One's Self – If your child needs help in this area, or you find that you need to build up your own self-respect levels, call Gracie today. We can help you feel better about yourself and we will respectfully welcome you to our gym. At our martial arts gym in Raleigh, we demand respect of others at all times. Becoming a Better Listener – Training at Gracie will also help you, or your child become a better listener and instruction follower. You'll have to pay attention to learn how to master the skills so you can move through the ranks. If your child has trouble paying attention, then they can benefit greatly from the verbal instruction, and one-on-one work from our expert instructors at Gracie Raleigh. Life Improvements– The skills, lessons, and values learned in our gym will carry throughout your, or your child's life. The newfound confidence levels, listening skills, and understanding of how important focus and achieving goals are, will have a huge impact on your life and your ability to navigate it. As a child, the morals learned in martial arts will positively influence them for life, well into adulthood. At Gracie Raleigh, we make it easy to set up your free class. There are no contracts for kids, and adults can also try before you buy so you do not have to worry about making a high pressured commitment. Call us today for more information.